Hello and welcome to a new year (only 5 days late with that greeting). Welcome also to my blog. I find I have to get re-acquainted with it myself because it’s been so damn long since I was here. Do I even blog? I hope so. 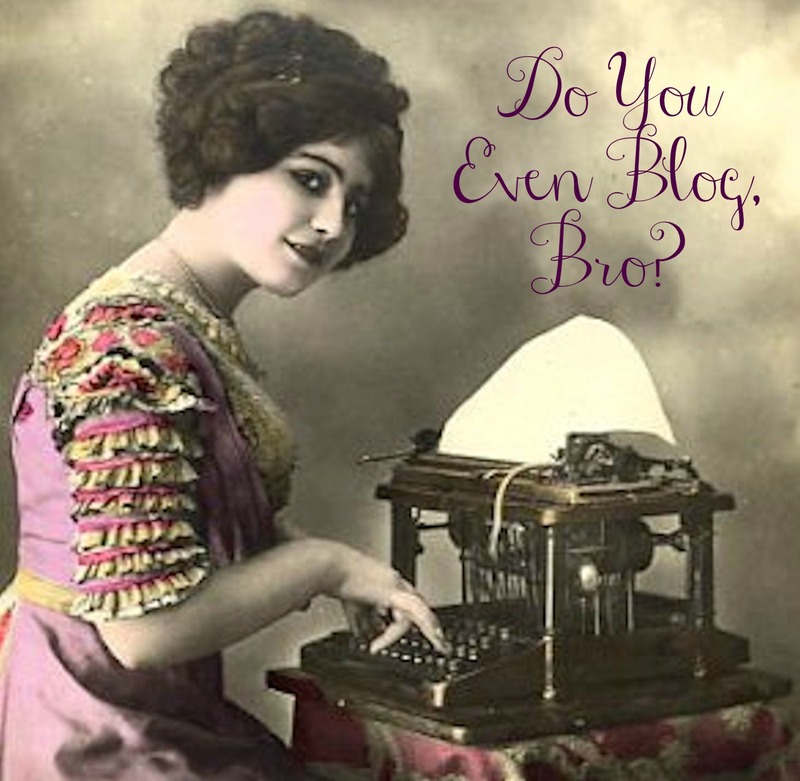 If I plan to tell people I’m a blogger, I should have something solid to back that up. That leads me nicely to goal number one for 2015 (and beyond). My overarching goal for the year is to breathe life into my Telltale Thread site. Primarily, this is going to mean blogging more and blogging consistently. My problem isn’t wondering what to write about – I write at least 5 new posts in my head a week. What I need to work on is purging those posts from my brain wrinkles and into my computer. If I did that, I’d have numerous drafts ready to go at any time! Unfortunately, time is the one thing I don’t have limitless supplies of (does anyone?). Mother, spouse, crafter, home owner, full-time desk jockey – all these things take up many of my hours. On the upside, knowing what I need to spend time on should be the key to helping me draw up a plan to devote hours where I want to. This year I plan to document the projects I’m working on and keep a little file for the finished goods. I think this will fall into place fairly naturally with an increased blogging schedule, so they kind of go hand in hand. I’ll be including all sorts of things in this file, not just sewing/craft projects. This one might be a bit of a stretch to achieve in one year. I’m a pretty well seasoned procrastinator. Much like Peter Gibbons, I could do nothing, absolutely nothing, and be perfectly content. That’s not going to help me achieve any of the goals on this list, though. To stand a better chance of becoming an organized person (do these people really exist, fully formed, out in the wild?) I’m roping my husband into this goal as well. My current plan of attack for organizational bliss is obtaining one of those ‘mom calendars’ (waiting for the sweet spot of sale time at the Calendar Club*) and writing down EVERYTHING. Chores, bill payment due dates, birthdays, events, etc. *this is why I’m waiting for the really good sale. I don’t care what pictures are in the calendar, I just want it to be cheap and large enough for my purposes. Another one I’m inflicting on the husband. He’s on board though, so that’s half the battle won. We have a basic budget laid out but it will require tweaking as we go along. We’re one year into being home owners and still finding our feet as far as that is concerned. With the costs of a mortgage and daycare being what they are B.C., it can be a bit of a struggle at the best of times, even with two full-time incomes at decent jobs. This is just something we have to be aware of, work on and stick to. I’m not joining a gym because I know I won’t go. What I am going to do is set little goals throughout the year and work on intentionally slow progress so that what I do will become habit and will lead to weight loss that I feel I stand a chance of maintaining. My first two goals for this month are no baked goods for breakfast. I’ve gotten into a really bad habit of buying a muffin or brioche with my daily coffee. Like, really bad. To break the habit, I’ll be making coffee at home and taking that. As luck would have it, there was a brand new travel mug in my Christmas stocking that keeps coffee hot for HOURS, so there is my motivation (no more nuking my constantly cold coffee at work). My second small goal for the month is no eating after 8pm. I’ll still have my cup of herbal tea but nothing that involves chewing. For the year, my general fitness goal will be to strap the running shoes back on and get out there. I’ll be focusing on a slower pace and distance rather than speed. To balance the cardio, I intend to do short sessions of strength training using my body as the weight/resistance. If have to futz around with equipment, it’ll never happen. That’s enough for a new post but I do want to expand on each of these and touch on a few other peripherals. It sounds like a lot to tackle but as one thing kind of naturally feeds off or benefits the next, I have high hopes. What about you? Do you have lots of goals for 2015 or just one really good one? This entry was posted in goals, old house, organization, quilting, sewing and tagged 2015, goals, New Year, organization on January 5, 2015 by telltalethread.